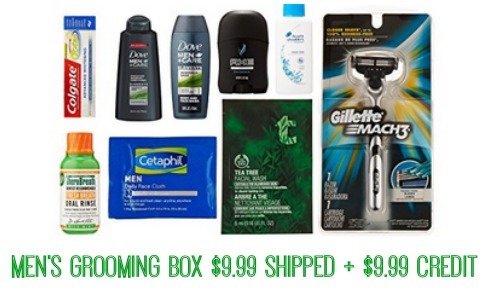 Head to Amazon to get the Men’s Grooming Sample Box for $9.99 shipped. Even better, you can get a $9.99 credit towards your next purchase of select men’s grooming items. Possible items in the box include items from popular brands like Cetaphil, Dove, and Gillette plus a possible FREE razor! Also, the ladies can get the Women’s Beauty Sample Box for $11.99 shipped plus an $11.99 credit towards the purchase of select women’s beauty products shipped and sold from Amazon. Get products from Aveeno, Neutrogena, Acure and more. Offers valid for Prime members only. Ships Free within 1-2 weeks.